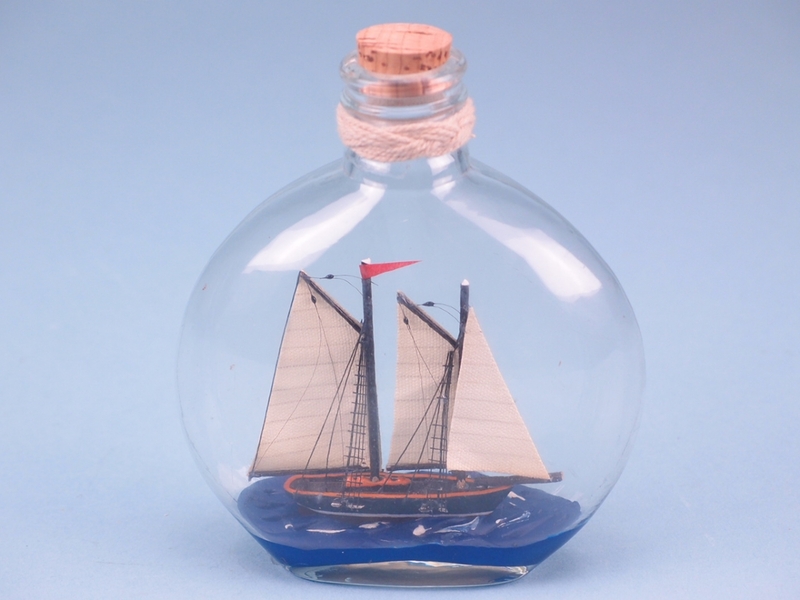 Model Ship in a Round Upright Bottle. Sealed with a cork. 14cm. A beautiful ship in a round, upright bottle sealed with a cork. The model ship is wooden and hand painted. 14cm. Looking for a Nautical Gift? 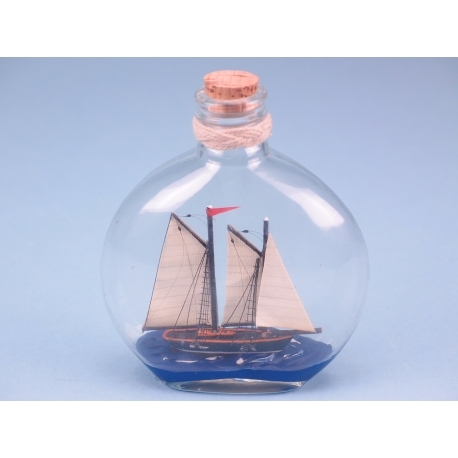 This Ship in a Round Upright Bottle will pleasantly surprise your customers. It is 14cm & sealed with a cork. The ship is made of wood and it is hand painted.